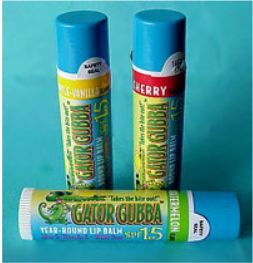 Gator Gubba SPF 15 Lip Balm packed in Bulk! 36 Lip Balm's in each bowl at a discounted price! $1 per Gubba. You can get the fishbowl packed with one flavor or mix all 4 flavors together (assorted).